It must have taken a lot of restraint for them to not actually boo Obama. 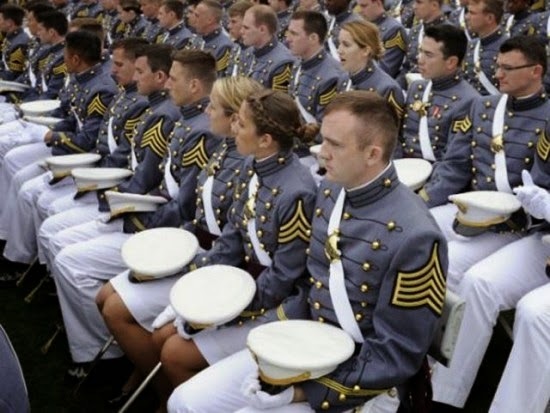 President Obama was welcomed by the Black Knight of the Hudson for his speech at West Point on Wednesday, but less than 25 percent of the cadets gave him a standing ovation upon his introduction, the Daily Mail reported. “Receiving tepid applause and a short standing ovation from less than one-quarter of the audience upon his introduction, Obama argued for a contradictory foreign policy that relies on NATO and the United Nations while insisting that ‘America must always lead on the world stage,’ the paper reported.